I'm not much of a cook, but I do enjoy anything made with chorizo. I've looked far and wide for pre-made chorizo spice-mix in grocery stores, international food stores, etc., but I've never found it. Yet, chorizo sausage is widely available at grocery stores, restaurants, butcher shops and even convenience stores. The closest thing I've found to pre-made chorizo spice is a backcountry mix on Amazon.ca. Is there a known reason why chorizo spice wouldn't be sold in stores? For example, is it just as easy to make it as it would be to buy it? There are multiple brands of chorizo spice mix available commercially: Spice House, Savory Spice, sausage maker supply, etc. Google a little. Further, if you go to a grocery store with a good selection of Mexican food, you'll probably find some mixes there from Latin suppliers who don't have web sites. Maybe not, though; all of those spices are standard staples for Mexican cooks, so they wouldn't see the need for a mix. My recommendation, though, is that you make your own spice mix so that you can balance out the heat/garlic/sweet spices the way you like it. Local availability is going to depend on, well... where you are located. But @fuzzychef has a point, you can make your own. Famous Chef Emeril Lagasse offers a Chorizo Seasoning Recipe. I'm not sure how long it would take you to use up 1/2 Cup of the mix... you might consider using garlic powder instead of the chopped garlic (to prolong shelf life). Not the answer you're looking for? Browse other questions tagged spices mexican-cuisine chorizo or ask your own question. Should Chorizo Be Peeled Before Cooking? 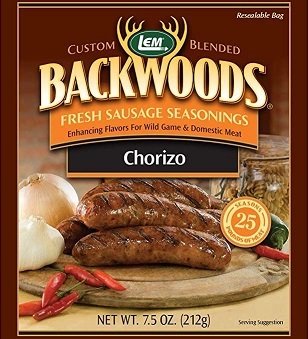 How can I know if I'm purchasing “mild” chorizo or spicy chorizo? Chorizo sausage as a ground chorizo substitute?